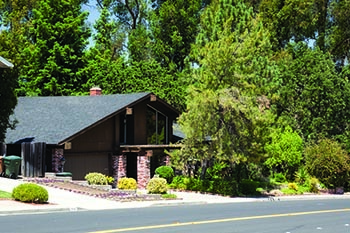 A home in the Contra Costa County city of Pleasant Hill. Although millennials are mostly shut out of the housing market in the San Francisco and San Jose metro areas, a new report says that they are making inroads in a couple of Bay Area suburbs, thanks in part to six-figure earnings. A new analysis from Realtor.com ranks 2016’s hottest 10 ZIP codes in the U.S. based on the fastest pace of sales and the most listing views on its website — the same criteria used in its ongoing monthly report of the nation’s 20 most in-demand housing markets. 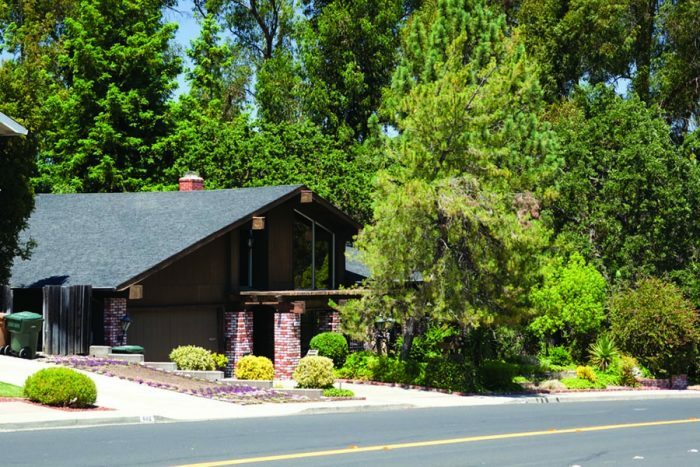 Pleasant Hill’s 94523 ZIP code ranks as the second hottest housing market in the country, with the median-list-priced $630,000 home selling in an average of 19 days. Although Generation X accounts for the most home sales in the Contra Costa County city, millennials are a close second, making up 26 percent of buyers. Forty-two percent of millennials in Pleasant Hill earn in excess of $100,000, more than double the national average for that age group. Petaluma‘s 94954 — the country’s No. 6 hottest ZIP code — is also attracting quite a few buyers under the age of 35, 43 percent of whom earn more than $100,000. Millennials comprise 25 percent of mortgage holders in this pocket of Sonoma County, where the median-list-priced $596,000 home finds a buyer in an average of 27 days. Realtor.com notes that the SMART train system, which is currently being tested, is likely to further boost Petaluma’s appeal among younger buyers. The Bay Area’s housing inventory shortage comes up almost daily in local real estate news, and one new study shows just how far the region has to go in order to meet the demand that comes with a full-throttle job market. The National Association of Realtors examined home construction permits compared with job gains between 2013 and 2015 to identify the 10 U.S. markets most starved for single-family home starts. San Francisco has the third most severe housing shortage in the U.S., needing 127,412 permits in order to meet its historical jobs-to-permits ratio. San Jose ranks No. 8 in the country for the largest inventory gap, with 69,042 permits required to satisfy demand. According to NAR Chief Economist Lawrence Yun, a shortage of single-family home construction in these housing markets has made it very difficult for many homebuyers, particularly younger ones, to get a foot in the door. “Without the expected pick-up in building as job gains rose in recent years, new and existing inventory has shrunk, prices have shot up, and affordability has eroded despite mortgage rates at or near historic lows,” he said. Some analysts predict that the Federal Reserve will raise interest rates later this year, but they should still be at their lowest levels since many of today’s homebuyers were born. That’s according to Freddie Mac’s September 2016 Outlook, which projects that the 30-year, fixed-rate mortgage will average 3.6 percent for the year, down from 3.9 percent in 2015. The company is also optimistic about the housing market, upwardly revising its home price appreciation forecast to 5.6 percent this year and 4.7 percent in 2017. “The housing market remains a bright spot for the U.S. economy, with solid job gains and low mortgage interest rates sustaining the economy’s momentum in September,” Freddie Mac Chief Economist Sean Becketti said. He predicts that mortgage originations will spike in the third quarter to reach their highest level in four years. Fannie Mae is also feeling good about the state of the national economy, predicting growth to accelerate as the year draws to a close. The company’s September 2016 Economic & Housing Forecast projects 2.6 percent economic growth in the second half of the year, up from 1.0 percent in the first half. Although consumer activity has been cooling in the third quarter and business productivity has been dropping, demand for housing may offset those factors.